Listing services that populate your seller account with more products. Automatic update of on-hand parts inventory. Shipping strategies that cut costs and increase efficiency. Month-to-month, low cost, low risk, and highly automated so you can focus on fulfillment & communication. 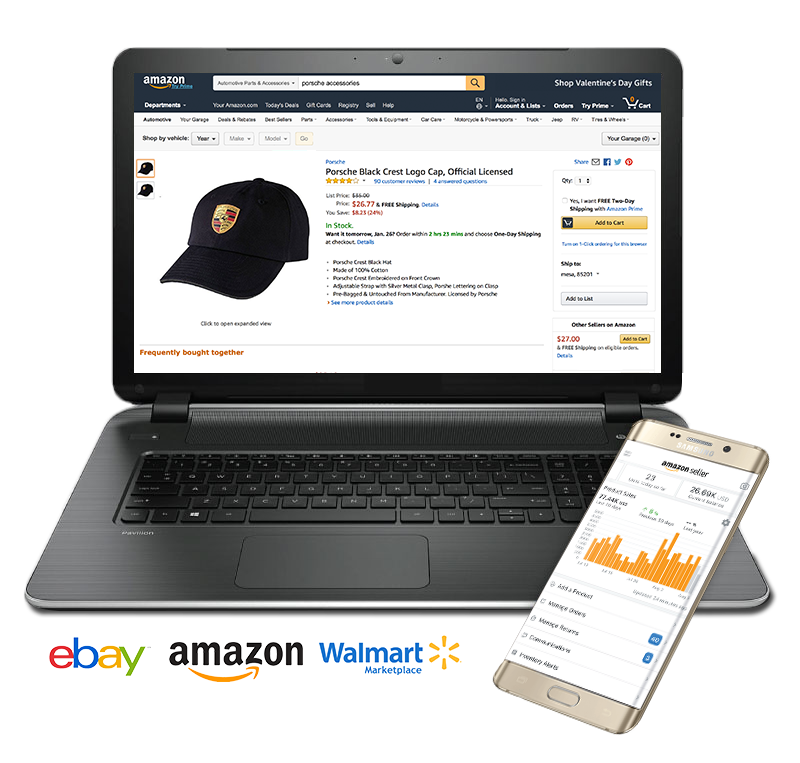 Sell more car parts and accessories with a modern, feature-rich, optimized web store. OEM catalog; interactive diagrams & parts lists. Shopper friendly front end with Year-Make-Model navigation and part number search. Easy to use back end: Integrated orders, payments, shipping, inventory, fraud detection, more. Locked into a contract? Call us to discuss your trade-in! 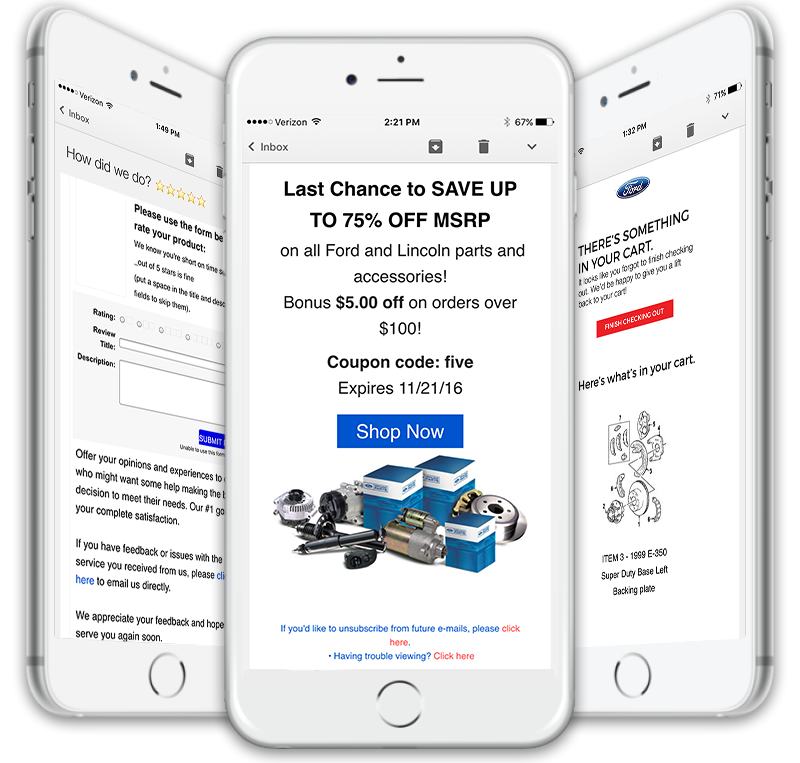 Email Marketing: newsletter blasts with coupons; abandoned cart emails; requests for 5-star reviews. Paid Search/PPC: Effective pay-per-click services with Google and Bing ad campaigns. Contact us now to see a demo and real results, then decide for yourself.